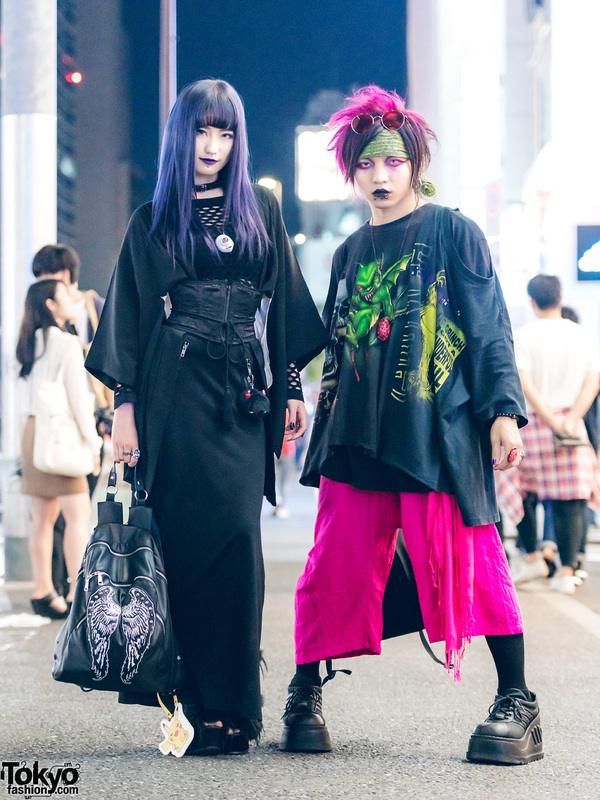 Harajuku girl wearing a long graphic jacket over a graphic dress, platform boots, lace and leather bracelets, rings and a bolero tie as a choker. 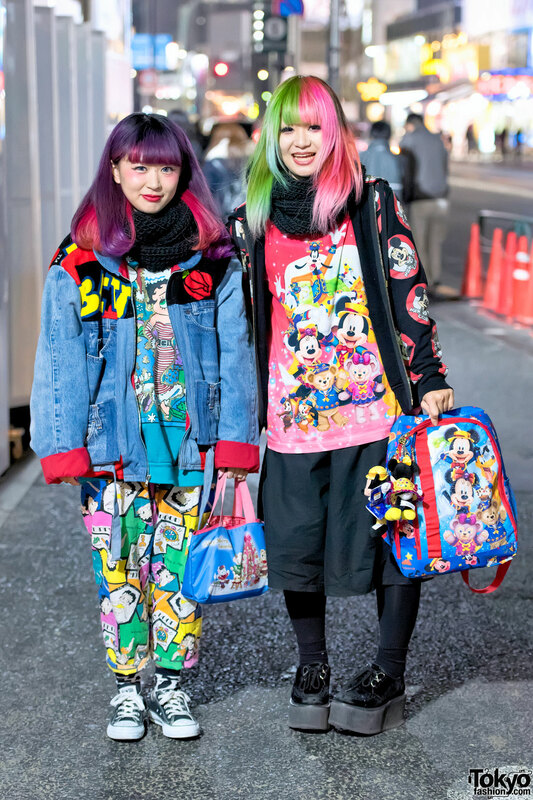 Japanese girl in glasses with pink hair, lace top, denim shorts, high top sneakers, and a backpack. 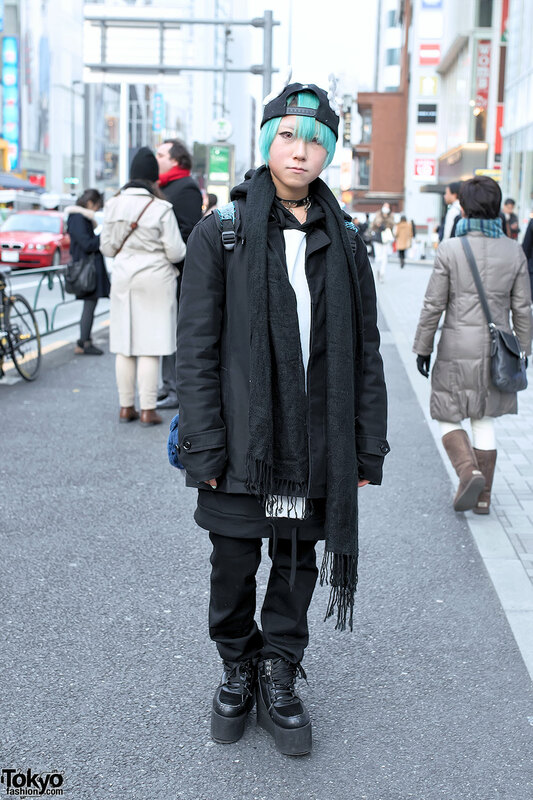 Green-haired Harajuku girl wearing a jacket over a long Monomania hoodie, a winged cap, a Cyberdog backpack, and platform shoes. 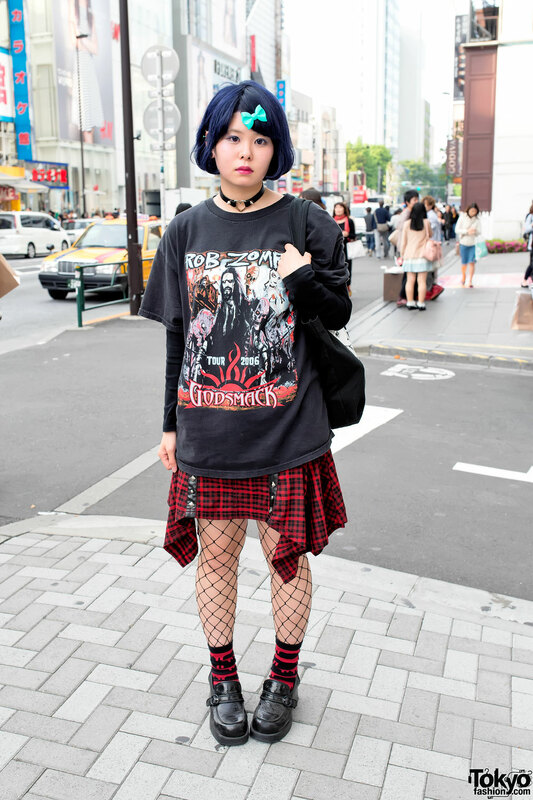 19-year-old Gazette fan on the street in Harajuku with blue hair, a band t-shirt, plaid Algonquins skirt, fishnets and platform loafers.